Tube Help--I'm trying to make sense of the codes on this tube. Can one of the resident tube experts help me identify what I'm dealing with? The tube is 12AU7A ECC82 Amperex uniform Gf2 B5J2. The etched code is the way to determine exactly what you have. 2 is the change code which tells you what revision of the tube you have, like a model number. The second row of codes tell you the factory it was made at and the date it was made. B means the Mullard factory at Blackburn, England. 5 is the year of manufacture. Since these are orange label, which were made in the late 60s and the 70s, the year is 1975. If the labels had been white, I would say 1965. J is the month, 10th letter of the alphabet is the 10th month, October. 2 is the week of the month. Phillips was a Dutch conglomerate that owned many tube brands such as Mullard, Amperex, Siemens, Valvo and many others. Tubes made in one factory were often labelled with another factory’s brand if an order needed to be filled or whatever. Phillips also sold tubes to independent distributors like Los Gatos and National who put their own labels on them. Other manufacturers like Telefunken and RCA had their own ways of coding tubes. @tomcy6 , THANK YOU! Great deciphering of the codes! I hope these sound good! I wonder if quality dropped in the 70s due to the increasing popularity of solid state. tomcy6, Thank you for the very educational response. Your explanation was spot on. I cannot thank you enough. This is my first experience tube rolling. I really appreciate the education. jbhiller, you can also see the date Amperex painted their label on below the 12AU7A, 76-48, meaning the 48th week of 1976. The labels were usually painted on a while after the tube was made, so this verifies that the tube was made in Oct. 75. Usually Phillips companies didn’t paint a date code on their tubes, but obviously they sometimes did. The 2 change code means that the construction of the tube is the same as those made in the 60s. 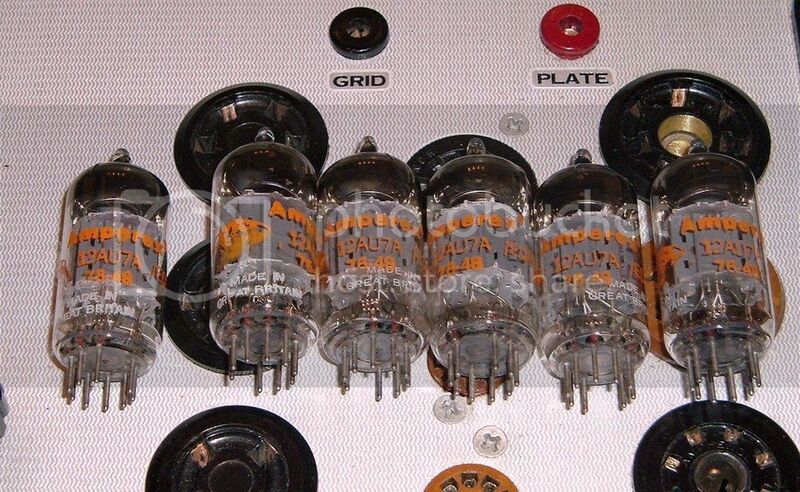 I know that Mullard made Gf 2s in the mid 60s, so those are some nice tubes you have there. They are in beautiful condition. @tomcy6 , if you lived near me I'd buy you a beer or a coffee! Thank you again. That is great information. I'm just running them in now. Very interesting difference as compared to the Chinese EL34s I had in before these. Very valuable decoding tomcy6, much appreciated.. He has the Telefunken tube codes there as well as explanations of all the tube varieties that can be substituted for a particular tube like the 12AU7. He also gives opinions on the sound of various tubes, some pretty specific, some general. These opinions aren't gospel. You never really know how a tube will sound in your system until you plug it in and listen. He has a good reputation as a tube dealer and he'll help you find what you want if you give him a call. Does it make sense to go for Pass 0.2 ?